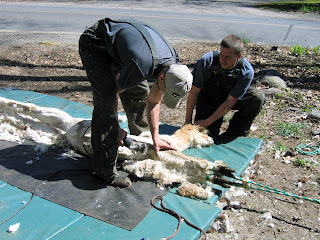 Shearing was underway today in our usual fashion with some great helpers, BilllieJo and Sydnie here to help us out. It started out cold but the clouds gave way to sun. 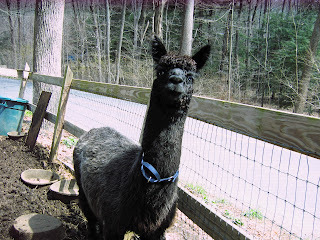 Angus, gave us his usual hard time by immediately getting his harness off as his way to tell us he was not going easy! 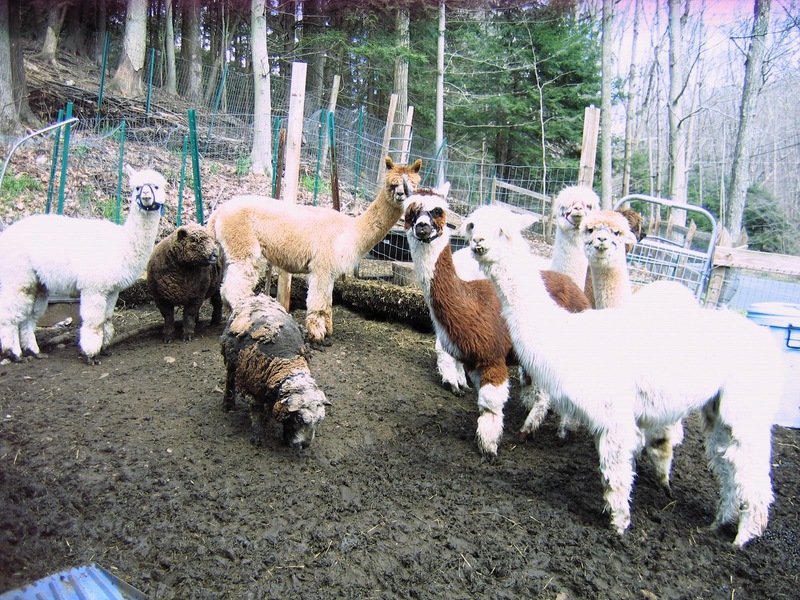 ﻿and were done with 7 sheep, 7 alpacas and 1 very stubborn llama in one hour and 45 minutes. 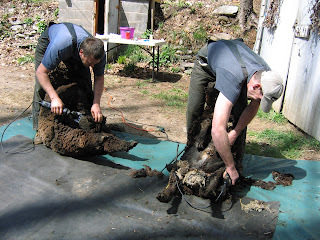 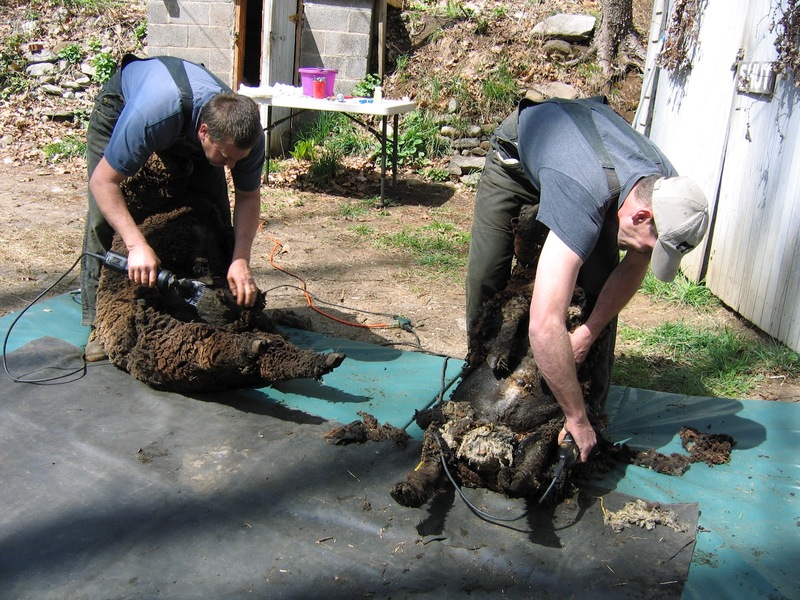 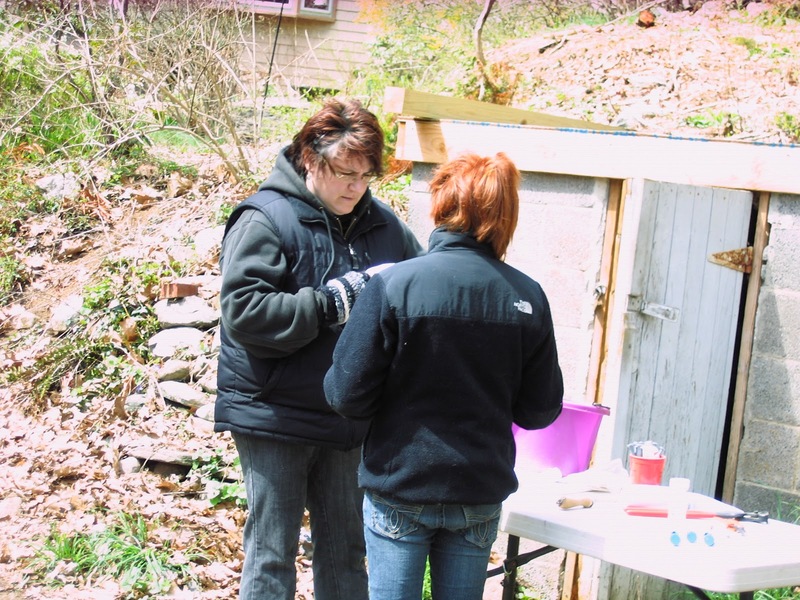 This also included vaccines, worming, hoof trims and bagging each fleece appropriately. We all worked together as a team, with great precision and I think this was an all time record set by our amazing shearing team!